Members and hotel residents benefit from 10% off all full price items in our fitness wear shop or upon the presentation of your membership card in any DW retail store in the UK. 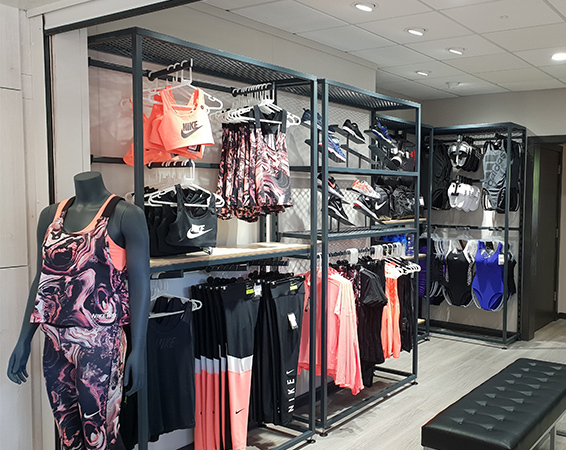 With premium brands such as Nike, Asics, Adidas, Speedo & Under Armour, the shop features the latest in fitness fashion and performance wear. With items on sale such as running shoes, training wear, swimwear and gym bags, the discount is a great added benefit. Nutrition supplements are also on sale to help boost your fitness goals.